Exhibitors have the opportunity to get involved in the Show’s marketing as outlined below. 1. By supplying images and new product information for the Truck Show website. The Show’s website was re-built last year and now offers an attractive, easy-to-navigate site which is kept up to date with current information. 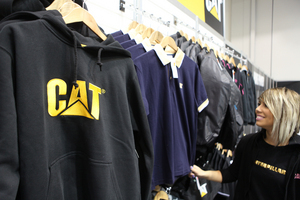 Exhibitors have the opportunity for their promotional information to be included on the website, both within the Exhibitor’s List, plus within the New Products section. 2. Taking part in on of our youtube clips. The Show has a dedicated youtube channel, and to promote the 2015 Show, we would like to preview new vehicles and products. 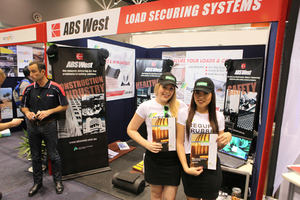 Exhibitors can have their ne truck reviewed by David Meredith (The West Australian motoring journalist). The video clips will be promoted through the Show’s website, social media and EDMs, plus made available for the exhibitor to share with their customers. 3. Providing new product information for press releases. Regular press releases are sent to national media as part of the Show’s Public Relations. New and interesting products can be listed within the press release along with images. 4. Purchasing advertising in The West Australian feature. 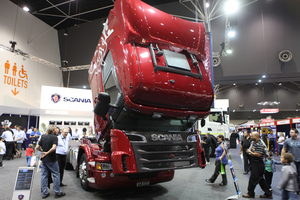 The West Australian has been supporting the Truck Show for many years, and in 2015 will publish an advertising feature the weekend before the event, which will then act as the official Show program (to be handed out to visitors attending the Show). 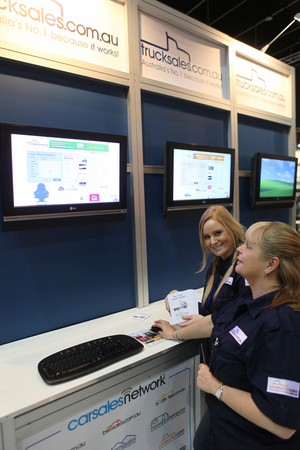 Exhibitors can purchase an advert within the feature to promote their business. 5. Offering prizes for social media competitions (which can also build up their own social media profiles). Competitions on Facebook and Instagram have a huge reach, and we would like to work together to interact with the Truck Show audiences and beyond. 6. Sharing EDM’s with their own database. Regular electronic newsletters will be sent out from the Truck Show office; and exhibitors can forward/share thee with their own customers to keep their customers informed, and to help promote themselves and the Show. 7. “Liking and sharing” the Show’s Facebook page; and subscribing to and sharing the Show’s youtube channel. The more Likes and Shares the Show’s page receives, the further the reach. 8. Displaying posters in their workplace. Posters will be supplied in the lead up to the Show. 9. Displaying Truck Show digital advertisements on their website, with link to the Truck Show website. The Truck Show office can supply artwork for the Show in a format that works with your own website, and which will link back to the Show’s website. A world class Truck & Trailer Show showcasing the best that WA has to offer with non-stop entertainment, attractions, and a diversity of information, demonstrations and activities on all things trucks & trailers.